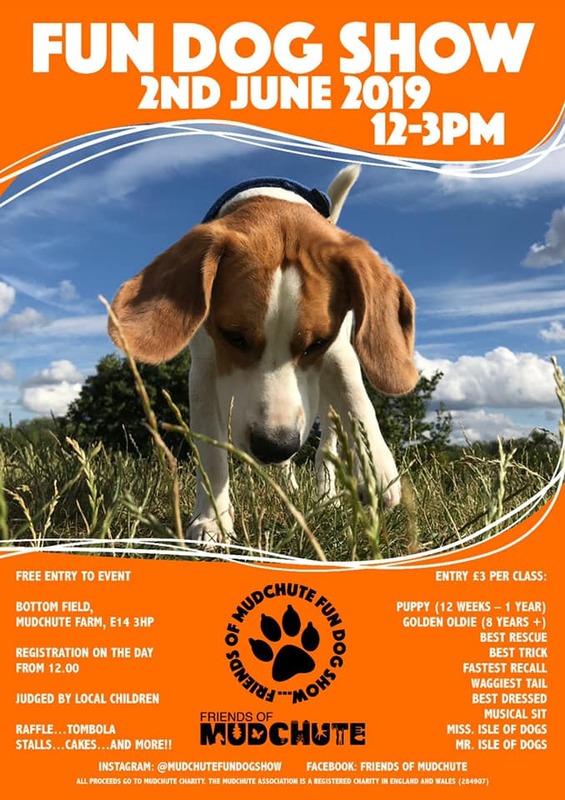 The annual Mudchute Fun Dog Show 2019 takes place this year on June 2nd 2019, organised by the Friends of Mudchute Park & Farm. Events will take place on the top field from 12-3pm for fun competitions, doggy themed cakes, kids games, tombola, raffle, face painting and more! Registrations open at 11am and all registered waggy tails receive doggy treats There will be prizes for the winners and a special award for Best in Show!